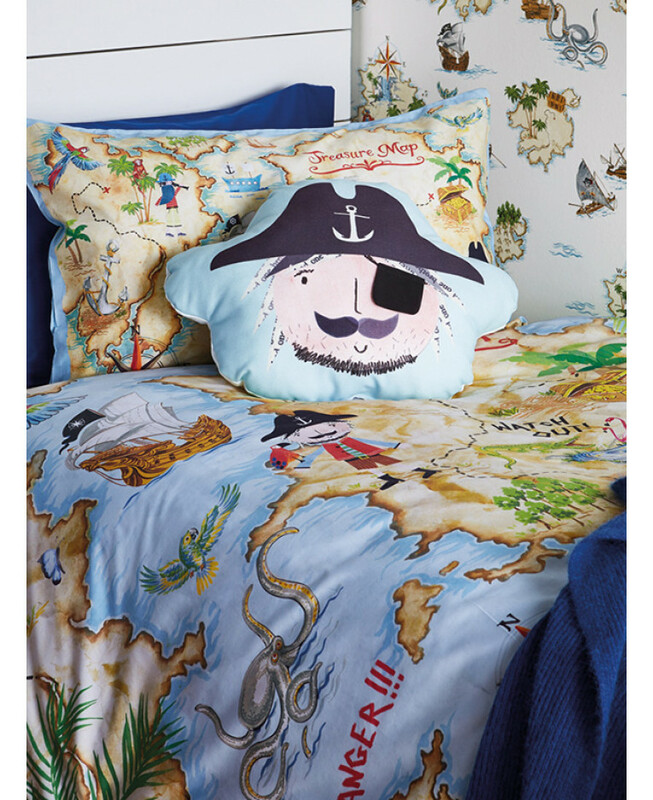 This Pirates Ahoy Cushion makes a great addition to any pirate themed bedroom. 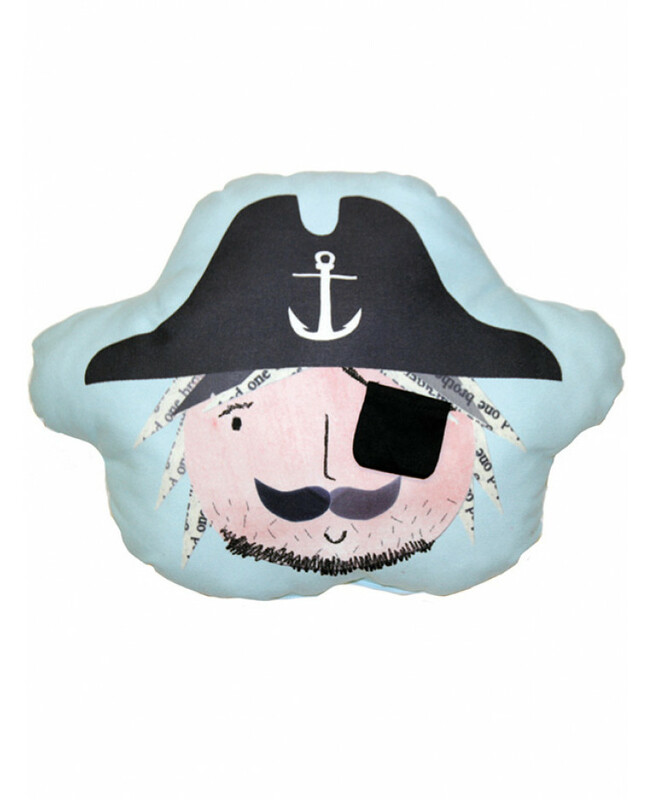 The fun shaped cushion features a great image of a pirates head on a pale blue background on one side, complete with a cool pirate hat and a 3D eye patch that has a secret pocket for hidden treasure! 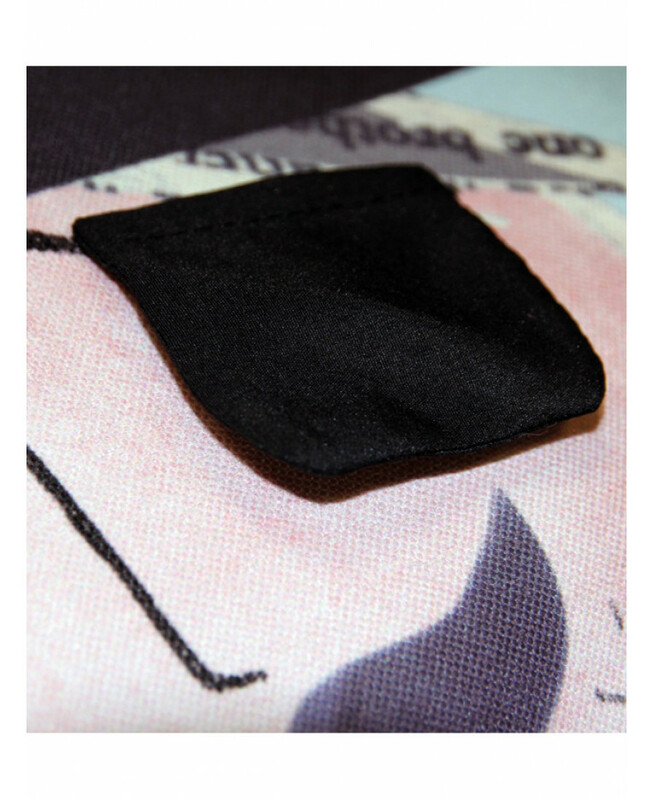 This item can be sponge cleaned and coordinating items are also available.